Friends, realme announced its new phone realme u1 to lunch on amazon.in on 28th November. realme It is said that this is the first smartphone that has used the latest MediaTech Helio P70 processor. performance – MediaTech Helio P70 processor. Just like the realme 2 pro in “realme u1” 6.3 inch IPS LCD is given. resolution of the screen is 1080 x 2340 pixels. This phone’s display comes with 409 ppi pixels of density, as well as the aspect ratio 19.5:9. RealMe supports u1 bezel-less display and also supports capacitive touchscreen and multi-touch functionality. It has a dual rear camera, which is 13 + 2 megapixels. As was done in realme2 pro too. MediaTek’s Helio P70 chipset is given in this smartphone. That’s been lunch in the last month. This is the first smartphone in which this processor is being used. This processor is powerful and it is made by keeping AI in mind. Given the Mali-G72 MP3 Graphics for excellent visual experience. Which helps this phone run smoothly. It has been given 4gb of RAM, through which we can easily multitasking, without any lag problem. At raelme u1 3500 mAh Li-ion battery is given. This battery is capable of running long time in normal uses. best smartphone under 20k 2018. It has 32GB/64GB of internal storage and this memory card supports up to 256 gb. Friends, this phone is of value for money to its price. You can buy it. Realme 2 Pro had a problem with front camera or battery which realme has improved this phone. If you like this “realme u1 | best smartphone in India” article, then definitely share it with your friends. Hello my name is Rudra Singh. 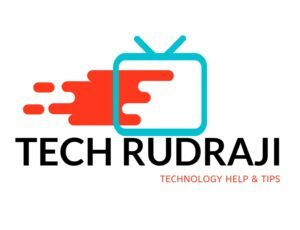 I am founder of techrudraji.com. Let me tell you about tech tips and trick,tech news,tech knowledge, other knowledgeable topics and all technical informations here.